^ a b United Nations (March 12, 2017). "The World's Cities in 2016" (PDF). United Nations. ^ "2015 Japan Population" (PDF). ^ "Tokyo definition and meaning". Collins English Dictionary. n.d. Retrieved June 15, 2018. ^ Fortune. "Global Fortune 500 by countries: Japan". CNN. Retrieved July 22, 2011. ^ "GaWC – The World According to GaWC 2018". Lboro.ac.uk. April 13, 2018. Retrieved March 22, 2019. ^ "Tokyo Tops Among Global Travelers, According To TripAdvisor World City Survey". TripAdvisor. TripAdvisor LLC. May 20, 2014. Retrieved September 1, 2014. ^ "2018 Cost of Living Rankings". Mercer. Mercer LLC. June 26, 2018. Retrieved March 22, 2019. ^ "Uptown top ranking". The Economist. June 17, 2015. Retrieved October 17, 2015. ^ "The Monocle Quality of Life Survey 2015 – Film". ^ 「ミシュランガイド東京・横浜・鎌倉2011」を発行　三つ星が14軒、二つ星が54軒、一つ星が198軒に. Michelin Japan. November 24, 2010. ^ "Tokyo is Michelin's biggest star". The Times. November 20, 2007. ^ "Safe Cities Index 2015 Infographic – NEC: Safe Cities". January 7, 2015. ^ "QS Best Student Cities 2016". Top Universities. ^ "QS Best Student Cities 2018". Top Universities. April 30, 2018. Retrieved July 12, 2018. ^ a b Room, Adrian. Placenames of the World. McFarland & Company (1996), p. 360. ISBN 0-7864-1814-1. ^ US Department of State. (1906). A digest of international law as in diplomatic discussions, treaties and other international agreements (John Bassett Moore, ed. ), Volume 5, p. 759; excerpt, "The Mikado, on assuming the exercise of power at Yedo, changed the name of the city to Tokio". 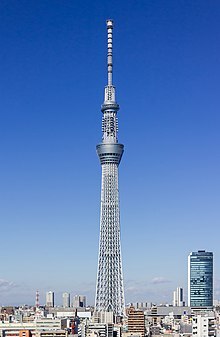 ^ 明治東京異聞～トウケイかトウキョウか～東京の読み方 (in Japanese). Tokyo Metropolitan Archives. 2004. Retrieved September 13, 2008. ^ "Tokyo-Yokohama earthquake of 1923". Encyclopædia Britannica. Retrieved October 10, 2014. 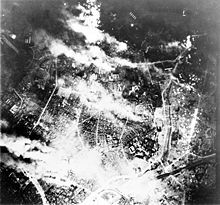 ^ "9 March 1945: Burning the Heart Out of the Enemy". Wired. Condé Nast Digital. March 9, 2011. Retrieved August 8, 2011. ^ "Tokyo Narita International Airport (NRT) Airport Information (Tokyo, Japan)". Retrieved October 10, 2014. 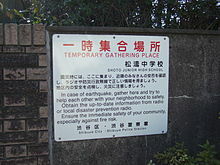 ^ "Despite Major Earthquake Zero Tokyo Buildings Collapsed Thanks to Stringent Building Codes". Retrieved October 11, 2011. ^ Williams, Carol J. (March 11, 2011). 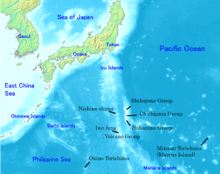 "Japan earthquake disrupts Tokyo, leaves capital only lightly damaged". Los Angeles Times. Retrieved October 11, 2011. 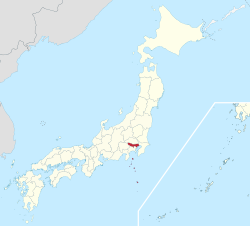 ^ "IOC selects Tokyo as host of 2020 Summer Olympic Games". Retrieved October 10, 2014. ^ "Development of the Metropolitan Centre, Subcentres and New Base". Bureau of Urban Development, Tokyo Metropolitan Government. Retrieved October 14, 2007. 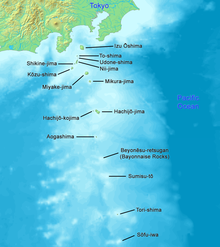 ^ "Ogasawara Islands: World Natural Heritage" (Adobe Flash). Ogasawara Village Industry and Tourist Board. Retrieved June 29, 2018. 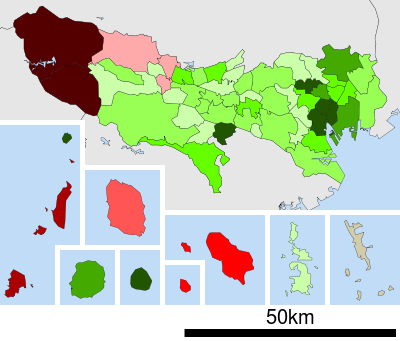 ^ "General overview of area figures for Natural Parks by prefecture" (PDF). Ministry of the Environment. Retrieved February 8, 2012. 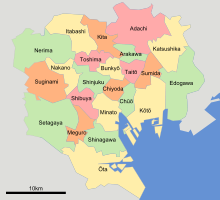 ^ "A new probabilistic seismic hazard assessment for greater Tokyo" (PDF). U.S. Geological Survey. Retrieved October 14, 2007. ^ Peel, M.C., Finlayson, B.L., and McMahon, T.A. : Updated world map of the Köppen-Geiger climate classification, Hydrol. Earth Syst. Sci., 11, 1633–1644, 2007. ^ a b c d 観測史上1～10位の値（ 年間を通じての値） (in Japanese). Japan Meteorological Agency. Retrieved November 15, 2018. ^ The JMA Tokyo, Tokyo (東京都　東京) station is at 35°41.4′N 139°45.6′E, JMA: 気象統計情報>過去の気象データ検索>都道府県の選択>地点の選択. Japan Meteorological Agency. Retrieved November 15, 2018. ^ 気象庁 / 平年値（年・月ごとの値） (in Japanese). Japan Meteorological Agency. Retrieved December 16, 2014. ^ 気象庁 / 気象統計情報 / 過去の気象データ検索　/ 平年値（年・月ごとの値）. Japan Meteorological Agency. Retrieved June 24, 2013. ^ 気象統計情報 / 天気予報・台風 / 過去の台風資料 / 台風の統計資料 / 台風の平年値. Japan Meteorological Agency. ^ a b Hidenobu Jinnai. Tokyo: A Spatial Anthropology. University of California Press (1995), pp. 1-3. ISBN 0-520-07135-2. 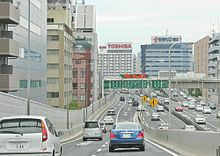 ^ "Tokyo – GoJapanGo". 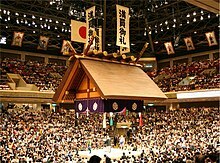 Tokyo Attractions – Japanese Lifestyle. Mi Marketing Pty Ltd. Retrieved April 18, 2012. ^ Barry, Roger Graham & Richard J. Chorley. Atmosphere, Weather and Climate. Routledge (2003), p. 344. ISBN 0-415-27170-3. ^ 東京都の人口（推計）. Tokyo Metropolitan Government. Retrieved January 17, 2015. ^ "Tokyo Statistical Yearbook 2018" (Excel 97). Bureau of General Affairs, Tokyo Metropolitan Government. Retrieved September 5, 2018. ^ "Financial Centres, All shapes and sizes". The Economist. September 13, 2007. Retrieved October 14, 2007. ^ "Top 3 Things to See & Do in Shibuya – Tokyo's Busiest District". Apr 13, 2017. Retrieved June 9, 2017. ^ Ito, Takatoshi; Melvin, Michael. "NBER WORKING PAPER SERIES - JAPAN'S BIG BANG AND THE TRANSFORMATION OF FINANCIAL MARKETS" (PDF). www.nber.org. ^ "A Country Study: Japan". The Library of Congress. Chapter 2, Neighbourhoods. Retrieved October 24, 2007. ^ "Orientation – Tokyo Travel Guide | Planetyze". Planetyze. Retrieved July 18, 2017. ^ "QS University Rankings: Asia 2016". QS Quacquarelli Symonds Limited. Retrieved June 13, 2016. ^ Perry, Chris (April 25, 2007). "Rebels on the Bridge: Subversion, Style, and the New Subculture" (Flash). Self-published (Scribd). Retrieved December 4, 2007. 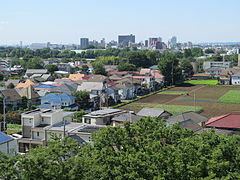 ^ "Tokyo 'top city for good eating'". BBC News. November 20, 2007. Retrieved October 18, 2008. 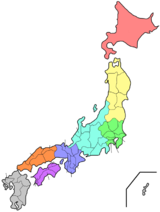 ^ "Sister Cities (States) of Tokyo – Tokyo Metropolitan Government". Retrieved May 30, 2016.